Starting and growing a successful blog can be a lot of work. I had no idea there was so much involved when I first started. 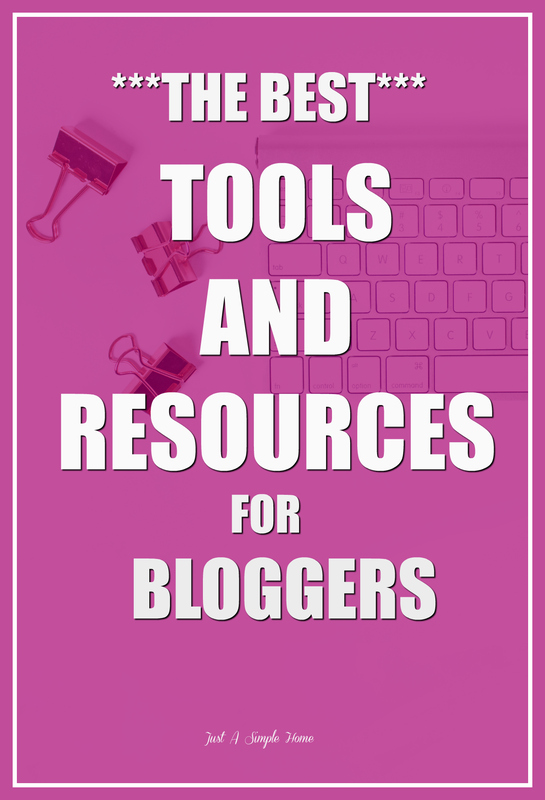 As a blogger, I have used tools and resources that were extremely helpful and that I highly recommend and others that I could have done without. 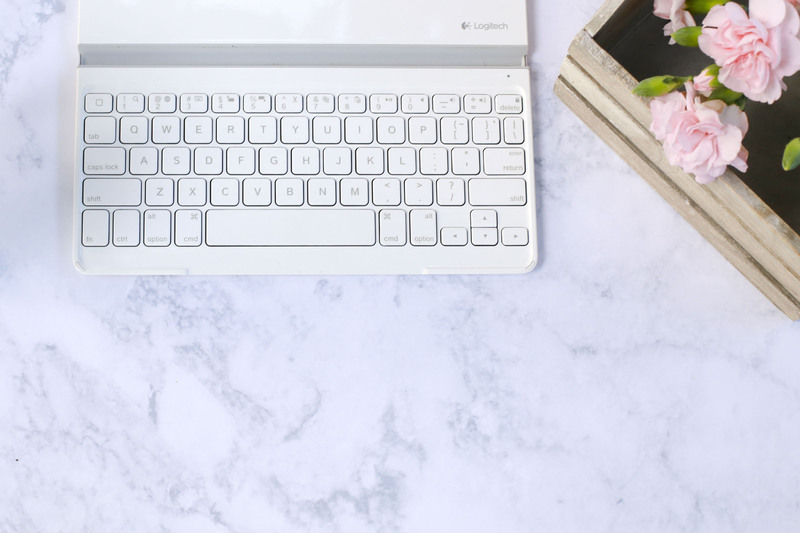 In an effort to save you time and money, I have put together a list of my favorite tools and resources that I think every blogger should use. 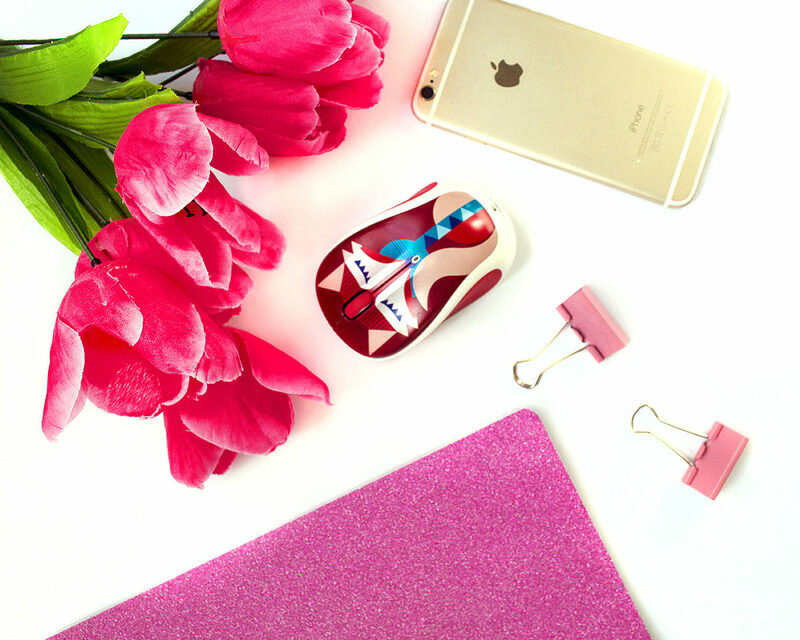 Hopefully you will find this list helpful as you navigate the journey that is blogging! Before we get started, if you don’t have a blog yet, be sure and check out my post on How To Start A Blog. I have a self-hosted WordPress blog and it’s the only platform I recommend for bloggers who plan on monetizing their blogs. Starting a self-hosted blog requires a small investment but it gives you total control over things like design, advertising, SEO or other customization. This is the hosting company I use and recommend to new bloggers. I have had a great experience with them and they provide fast, reliable hosting. They have plans starting at only $3.95 a month. You can’t beat that price! I have had so many people ask me which theme I use for my blog, so I thought I would mention it. I use the Oleander theme from SoloPine and you can find it on Creative Market. It is very reasonable and I have been more than happy with it. Creative Market has so many other themes though, so be sure and browse while you are there. There are many places where you can find free stock photos for your business. I list many of them in this post HERE. I use PicMonkey almost daily in my business. I create all of my pins in PicMonkey and most of the graphics I use in my marketing and promotion. It used to be free, but they have recently started charging a monthly fee. I stayed with them when they started charging, because I love PicMonkey so much. Canva is another site that helps you design graphics. You can not only design your pins, you can create any kind of printable you can imagine- planners, book covers, greeting cards, announcements and so many other things. Canva is free but you can choose to upgrade to their Canva For Work for added tools. The free version is plenty though! This is an easy way to schedule all your posts for your social media. PostPlanner is similar to PostCron, but helps you actually find content to share on your social platforms. I use Tailwind to schedule all my pins. They have plenty of tutorials to help you out. It is such a time saver and helps you build traffic while you sleep. You can get a free trial with 100 pins and a $15 credit using my link. This is the email provider I use and recommend first. You can read all about Why I Chose MailerLite HERE and how I grow my Email List using MailerLite HERE, so I won’t go into detail here. Just know that MailerLite has everything you need for your email marketing and is super affordable. If you really don’t want to use MailerLite, the next provider I recommend is ConvertKit. ConvertKit comes highly recommended by many of my blogger friends and has excellent customer service. It is much more expensive than MailerLite, but some people still prefer it, so I mention it. I use SendOwl to sell and deliver my digital products. You create your product, upload it to SendOwl and they pretty much take care of the rest. You can have affiliates in SendOwl, they take payment for you and the cost is very reasonable. I know bloggers who host their courses on SendOwl as well because their fees are so much lower than some of the other course platforms. This is where I host my courses. Teachable is an amazing platform for anyone who wants to create a course. They do have a free option if you want to start there, although it is a bit limited. The customer service is great and they have many tutorials to help you get started creating your course and making money. Teachable will collect payment for you, pay your affiliates, and more. They make it super simple to create and launch your courses. As you might imagine, this is how I record my screen for all my videos. It is free, although they do have an upgrade with more features. After playing with a few options, Screencast-O-Matic was the easiest platform for me to use. This is a tool that helps you…analyze your headlines for your blog. Their tagline is “write headlines that help you drive traffic, shares, and search results.” When yo have a powerful headline for your blog post, more people are likely to want to click through and read what you have to say. The Noun Project has over 1 million icons you can download and use, royalty free. Yes, you read that right. It’s pretty amazing. This plugin is the perfect plugin for social sharing! It enables your readers to share your posts with just one click! Trello is my new best friend. I am a huge planner person, and I have lists for everything. If it isn’t written down, it is like it doesn’t exist for me. I have avoided any sort of electronic planning because I have such a love for paper planners. Then I found Trello. Trello is life changing. I use Trello to organize everything, from my home to my business and everything in between. I use it for meal planning, for my homeschool, for those master brain dumps, to keep calendars synced with my husband…the list goes on and on. You need to try it for yourself. And it’s FREE! This is a MUST HAVE extension for Chrome. Seriously, it has saved me so much time! LikeItAll is an extension that likes all the Instagram photos in a thread for you! Game changer! I used to wonder how all these people could generate so many likes on their photos, even without huge followings. How did they have the time to sit there and do all that?! Well, the secret came out….LikeItAll. When I purchased it, it was only a $10 one time purchase, but it is now $10 a month. Still worth it, in my opinion! Want to learn some of the Best Hashtags For Mom Bloggers? This is a course by your truly, that takes you from the idea of starting a blog, all the way to working with brands, email marketing, and making money. You will learn everything you need to start and run a profitable blog, even with little ones at your side! This is the ONE purchase I suggest every blogger make. This is your best purchase, whether you want help building your email list, growing your income, learning how to use Pinterest more effectively, learning how to create and market your products and so much more. If you have this, you don’t need any other course, trust me! It is only available for a few days each October, so get it when you can and you will set yourself up for success all year! This course was created by a fellow blogger (Meghan at LoveFamilyHealth.com), a stay at home mom of two. In under two years, she has generated a 6 figure salary from blogging. She recently did a free training for us in my Facebook group, Blogging With Heart, and gave us fantastic tips. Her course helps drive quality, long-term traffic to your blog. You’ll be able to learn how to set up your business account, setting up ‘rich pins’, how to get access to Pinterest group boards, tips to grow your followers organically, SEO for Pinterest, how to brand and monetize your blog and a TON more. She even has sections on Facebook and growing your email list. This course from McKenize shows you how to make affiliate sales directly on Pinterest. I have been focusing ore on affiliate marketing in the last few months, but really didn’t want to have links all over my blog. I have broader boards on Pinterest that mesh well with many topics and I am able to easily use affiliate links without feeling weird. It is pretty genius, actually! You don’t even need a blog to make money from Pinterest. Blogcabulary Plus is the only blogging book of its kind. It is the only book where terminology, resources, and blogging processes collide in a way that it tells a cohesive and easy to understand story. All of the terminology questions you will ask yourself along your blogging journey are finally all in one place. So that all you have to do is focus on content creation, growing your blog, and making profit. This course will teach you how to skyrocket your email list. 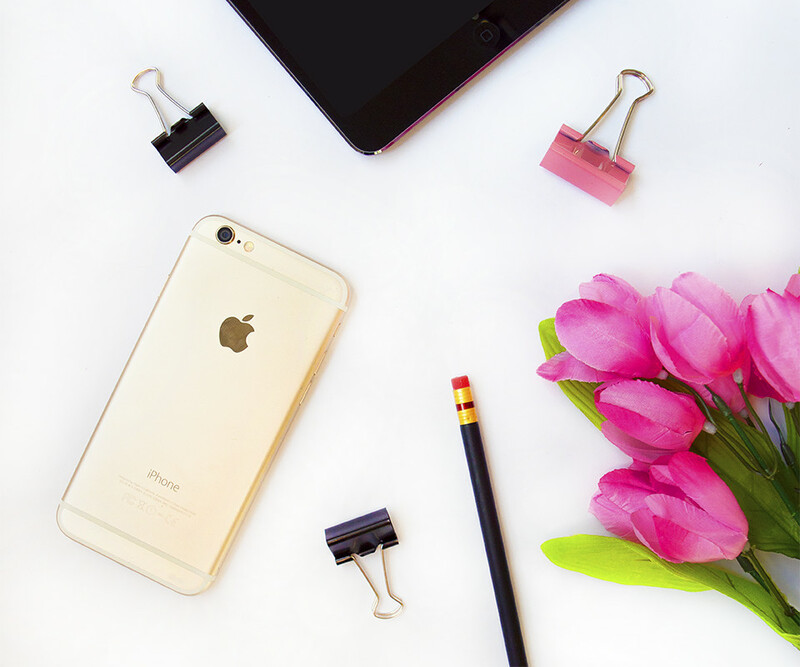 Learn to grow your list with printables, guest posts, Pinterest, free challenges and courses. This course use Mailerlite for the email marketing platform. This is a 5 week intensive course designed to teach you how to create stunning printables, whether you want to create them for your business or your home. Learn how to create one page printables (checklists, wall art etc) and multi page printables to be used as planners, journals, ebooks. You’ll learn where to find graphics and fonts and how to make sure you are legal and protected. Grow your income while creating products you love! This is my go to EBook for all things Facebook. Brittany went from 2,000 Facebook fans to over 100,ooo fans in 8 months and then wrote a book for us, explaining how she did it! There are some great tips in here, some I would have never thought of. I know Facebook is frustrating many bloggers right now, but there is hope! It is not a platform you should give up on because it can be so powerful for your business. Brittany has now expanded her EBook into a course, so you can get the training in whatever way suits you. I highly recommend it! This is the first course I bought as a new blogger. Abby is such a sweetheart and I learned so much from her course. It really is a very comprehensive course, you don’t need anything else. There are videos, tutorials, a workbook, interviews and more. Jen is the writer behind Women Winning Online and has a thriving Facebook group for bloggers as well. Her course helps you build a marketing plan and massive traffic to your site, which helps you grow your email list and your income. I have talked to Jen many times and she is a wonderful person. Her course is super helpful and includes links to hundreds of Facebook groups and Pinterest group boards. GREAT list here! SO many resources I use and so many I want to look into! I highly recommend so many of these resources as well!! Thanks for such an informative post. Yes, I did find trello too and loved it. I am using Tailwind presently – but have heard good things about Board Booster. Thanks for input and resources on other things I haven’t heard of! I am bookmarking this!! I have been blogging for nearly ten years, but just recently decided to take it to the next level. All of this is new to be and so helpful. Looking forward to diving into these programs! THANK YOU! Excellent resources here! Some I already use and some I need to check out. Will be sharing with my blogging friends. This is awesome information. Pinned it so I can save it 🙂 Oh wow, just realized that we are using the same WordPress theme. Really like this theme as it’s a very easy theme to install and customize. This is an AMAZING list! Thank you for sharing it! So many great resources out there. These are helpful tips that I wish existed when I started my blog! I’ve wasted so much time! This is awesome! I’m hoping to do an ebook fairly soon! Great resources! I’m currently in the process of implementing a lot of this stuff! There were some on here I was unaware of! This is such a fantastic list! I love exploring different tools that’ll help me with my blog. This is a great list of resources, and there are definitely some new ones that I will be investigating further. Thank you for making such easy to understand categories and your honest assessment of them. This really helps! Good list Terryn. But for my designs, I am currently using Pixteller and I love it. Maybe you have the time to have a look. I am sure I will have more comments because I am just now starting on this list and so far I am a HUGE FAN!!! I just downloaded LikeItAll and OH MY GOODNESS best $20 I have EVER SPENT!! I was spending HOURS (yes that’s right HOURS) Liking things and now as I am typing the program is liking 600 posts in a thread!!! GAME-CHANGER!!! I had to pin this too! You had some great tips on things I had not heard of before! Thank you!!! I’ve heard of some of these, but not all of them for sure. Thanks so much for all these resources. I need to look into some, like Noun Project. I love Canva and use it daily to make graphics. Thanks for sharing! All great tools! I love Building a Framework too and need to work my way back through it now that Abby did an update. Love these resources. I use a lot of them and they have been game changers for my blog. There are some new ones that I have not heard of so I am excited to try them to continue to improve my blog! Love this! The Genius Bloggers Toolkit is the bomb. So many other products I can’t wait to try. I appreciate the width and simplicity of this list. I still get “blogged down” (bogged down with all the BUSY behind blogging) and it’s good to look at a refresher. Thanks for some new ideas!